AQUA (WATER), LACTIC ACID, GLYCERIN, PENTYLENE GLYCOL, TRIETHANOLAMINE, SODIUM HYALURONATE CROSSPOLYMER, TASMANNIA LANCEOLATA FRUIT/LEAF EXTRACT, ARGININE, POTASSIUM CITRATE, ACACIA SENEGAL GUM, XANTHAN GUM, TRISODIUM ETHYLENEDIAMINE DISUCCINATE, PPG-26-BUTETH-26, ETHYL 2,2-DIMETHYLHYDROCINNAMAL, ETHYLHEXYLGLYCERIN, 1,2-HEXANEDIOL, CAPRYLYL GLYCOL. 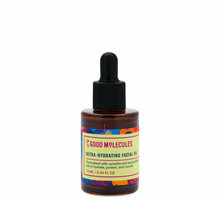 Lactic Acid 5% + HA is a mild exfoliating serum with lactic acid and hyaluronic acid. This treatment gently resurfaces the skin to promote a bright, even tone and a smooth, soft texture. For a higher-strength formulation, try The Ordinary. Lactic Acid 10% + HA. 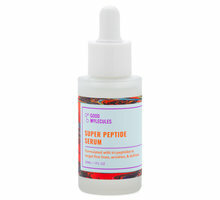 Tasmanian Pepperberry: a botanical extract that reduces the irritation associated with acid use. 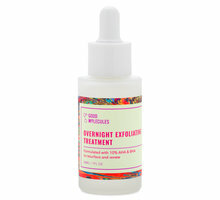 Apply a few drops to your skin at night before oils, creams, and moisturizers. Allow a few minutes for it to absorb. Avoid contact with eyes. If irritation occurs, this product can be diluted to reduce its strength. 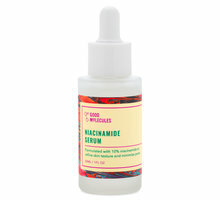 If your skin is sensitive or if you are sensitive to alpha hydroxy acids, we recommend starting with Lactic Acid 5% + HA. Lactic Acid 10% + HA is best for experienced acid users. I’m pregnant or breastfeeding. Is Lactic Acid 5% + HA safe for me? How do I add Lactic Acid 5% + HA to my skincare routine? Can I mix or layer Lactic Acid 5% + HA with other products? Yes. We recommend proceeding with caution if you choose to use it with other products containing retinoids or alpha or beta hydroxy acids, as this can cause irritation. You may want to alternate these products every other day. If irritation occurs, this product can be mixed with another product to reduce its strength. How often can I use Lactic Acid 5% + HA? Apply it once per day at night. If your skin is sensitive or you are new to acids, we recommend applying it once per week at first. Can I use Lactic Acid 5% + HA on my body? I had written a 1 star review for this, but it is no longer here and so I shall share my feedback once again. For reference, my skin runs very dry and sensitive. 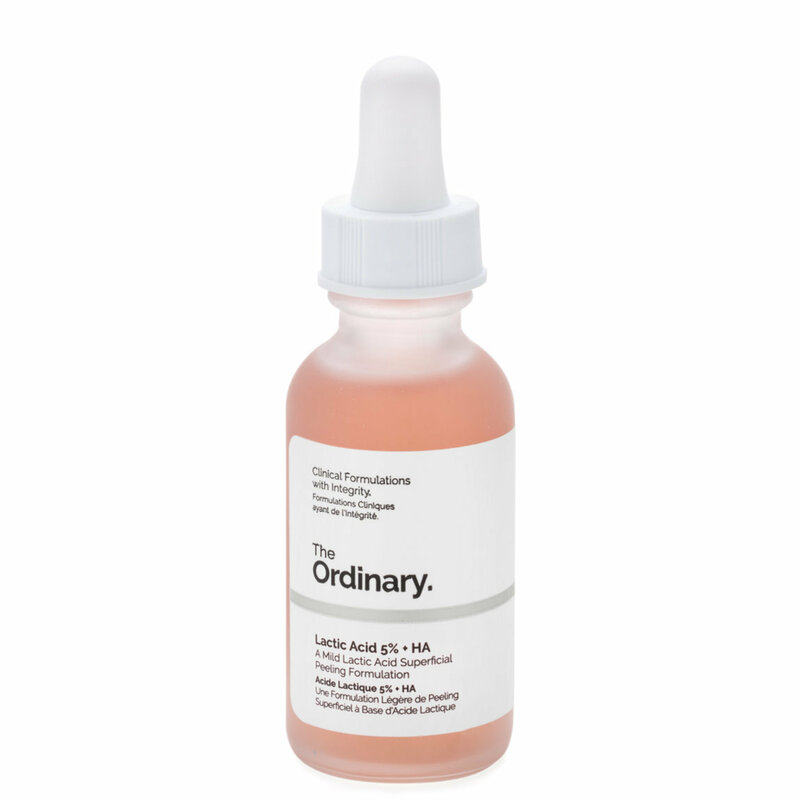 I purchased my products directly from The Ordinary and was gifted some from the line as well, including this item as I am a fan of other quite popular Lactic acid products. I am not new to acids. I've been using these types of AHA's at various strengths, including clinical strength, since I was in high school. Lactic at 5% is my favorite exfoliation for dry skin. Lactic acid not only stimulates collagen, making it effective for anti-aging, but it causes the cells to turn over at a more rapid rate, acting to chemically exfoliate. This reveals brighter, more even-toned skin with a glow. This, however, even on my experienced skin and with a very light hand was painful. It felt like horrible sunburn just moments after I applied it to my clean, dry skin...and from there, the discomfort became painful. My face was left so irritated and red that it remained as such for a couple of days, during which I applied aloe to soothe. This is not a dupe in my experienced view; I use and enjoy another, less expensive Derm-recommended Lactic options that moisturizes perfectly with no burning and so I shall stick with that. I also have a higher priced version that I feel is lovely and so this was the biggest disappointment of all of my purchases. There were, however, quite a few stars in the line. This simply relates my personal experience and something those who also have sensitive skin may want to take into consideration. If you have sensitive skin, I would not recommend this particular formulation. If you did purchase it and are new to it, I'd test patch on the delicate area of the forearm or on the neck, behind the ear, but away from the skin fold ...and use a light hand. It's disappointing my review was removed; especially since i have been quite generous in my reviews for this line based on 3-6 months experience with each item. In this instance, I could not proceed testing further. There's much better, I assure you. I would never recommend this. I've tried a large number of different lactic acids on the market. Everything from the high end stuff to stuff I found at my local health pharmacy from Paula's Choice (it was no good). I love this one because it's gentle but effective. With a lot of the higher end ones, I was only able to use it once a week due to how sensitive my skin is. I then would only see my skin texture change for one day and it would go back to looking a bit dull again. 5% works best for my skin's sensitivity. I can use this up to 3x a week without issues. 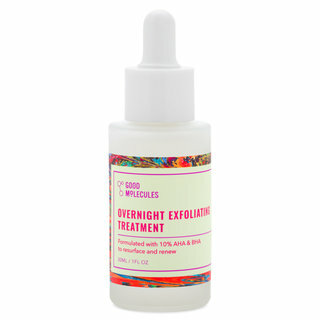 I alternate nights with the retinoid from this line as well. The smell: it takes a while to get used to. It's not bad or pungent -- it smells really sweet for some reason. This product as no perfumes so the odd smell is actually a good sign! I just started using this, two nights in a row. I already notice a huge difference in my skin. My skin is oily, large pores around the t-zone. Also slightly discolored and sallow looking sometimes. My fine lines are becoming visible and I looked age. Today, I did not put on any concealer or foundation. Just Smashbox bb cream and my skin looks so fresh. Even without the bb cream, I am pleasantly surprised. My skin looks so fresh, the tone has evened out some. My smile lines are not as deep either which is a bonus. And this is after just two nights of use! I purchased the 5% one initially, but I re-ordered the 10% for me and my mom as she is now interested as well. She is in her 50's. Replaced my good genes.....LOVE IT!!! I couldn't be happier with the results from this product along with several others from the ordinary. I had been using Sunday Riley products for years and loved them but they are so expensive. After doing research and learning about the ingredients I found the ordinary. I love that they don't have a bunch of unnecessary ingredients. Which is why it's so affordable. Also when you purchase an item they send detailed info with it. Explaining how to use it, what it does, and what order to use the products in. Highly recommend! My skin has always been dry and sensitive, so I am very picky about the acid products that I use. Prior to this product, I had been using the Good Genes treatment by Sunday Riley, and I enjoyed the results but not the price. 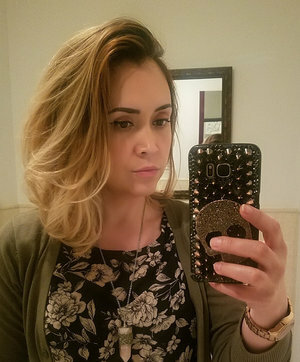 So I tried this product on a whim and I love it. For those of you who claim that this product is not a dupe for other lactic acid treatments, you're right. 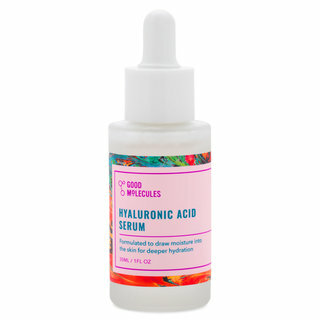 This product ALONE is not a dupe, because it's only lactic acid and hyaluronic acid. It's not going to give you the added moisture that the more expensive products will. You have to use it in conjunction with other products if you want that. For example, when I switched from the Good Genes to The Ordinary, I used this acid (or the 10%, which I also own) layered with plant-derived squalene and aloe vera gel (both of which are the moisturizing and protecting ingredients in the Good Genes treatment). Skincare is not something that can be taken care of with a single magical product. It requires work and the right cocktail of ingredients for your skin. 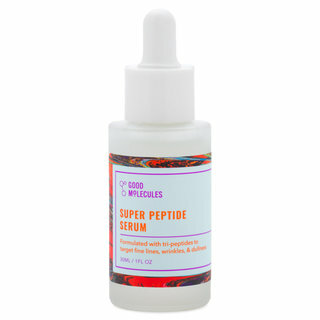 This lactic acid is an integral part of my skincare and I will purchase it and recommend it for as long as they make it! I got this and the higher concentrated one as well and I'm pretty pleased with how well it works considering it's so cheap. I haven't used Sunday Riley's lactic acid serum treatment so I can't compare but I do have drunk elephant AHA (the pink bottle) and it's a pretty similar effect but drunk elephant is SO MUCH more expensive (as well as Sunday Riley). I had a small breakout on my chin and used this and it sped up the process from just red bumps to white heads. I exfoliated with a clarisol Mia the next night and put on the higher concentrate and it's drying them out pretty fast, no more white heads and now the redness is fading. I have pretty sensitive skin and neither the low or high concentrate irritated my skin. The skin above my upper lip tingled a bit but nothing crazy. I've used SR good genes for quite sometime now and I've found this product just as effective. I was going to get the 10% but honestly with the 5% formula it works incredibly well and I can use it everyday without irritation- I highly recommend trying this for texture issues, I'm loving it!! This is my favourite acid to date. I opted for the 5% rather than 10% so I could use it daily. This doesn't dry out my skin, and helps with texture, acne and scarring. Highly recommend! This is my stand out product from The Ordinary. 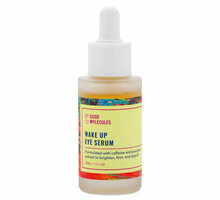 It provides overnight results, as in, you wake up with such a glow! It is gentle and my bottle has lasted around 60 days with almost daily use. I've repurchased the 10% version for when I run out because this one impressed me so much. With continued use my skin has become far clearer and much more even in tone. I wake up with glowing skin and I cannot recommend this enough, I've been raving about it to all my friends.